We are loving this crop top for your weekend wardrobe. 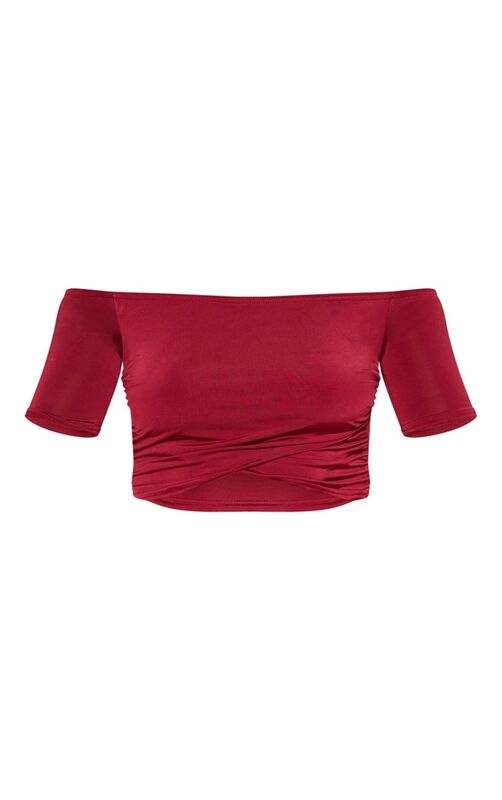 Featuring a wine slinky material with a bardot neckline, short sleeves and a cropped length. Team this with the matching mini skirt and strappy heels for a night out with the dolls.